The first phase of polling for Lok Sabha elections 2019 is set to take place in less than a week from now. With the poll battle hotting up, Prime Minister Narendra Modi, in an interview with a news channel, attacked Congress party over divisive politics. 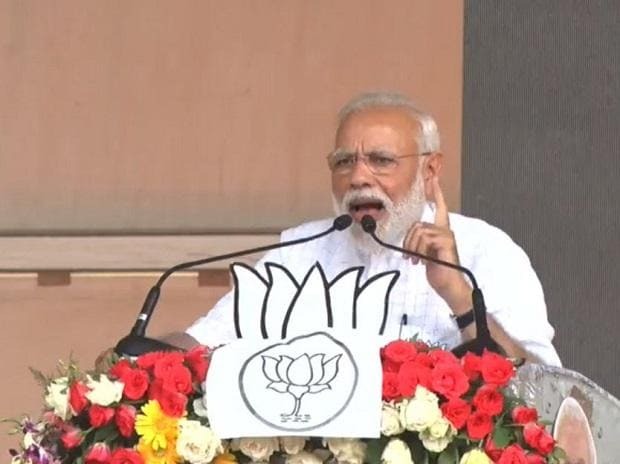 Accusing the party of dynastic politics, Modi said 'even 'father of the Constitution BR Ambedkar had said that dynastic politics is dangerous for democracy'. Later in the day, Modi addressed a rally in Uttar Pradesh's Saharanpur. At the rally, Modi slammed the opposition parties alleging their only agenda was to dislodge him from power and promote dynastic politics. "The opposition's only agenda is 'Modi Hatao' (remove Modi). Their only intention is to promote 'vansvaad' (dynastic politics)," he said. He also accused RLD chief Ajit Singh of forgetting the atrocities against people and not "raising his voice for self-interest". The Congress party has decided to conduct 543 press conferences to publicise its manifesto. "Senior leaders will conduct press conferences in each of 543 Lok Sabha constituencies," said a party leader. "The plan is to keep the focus on NYAY, the minimum cash guarantee scheme. The party does not want to get mired in other issues. If it gets down to the people, the peripheral issues and narrative of nationalism will fade away," said the leader. The Lok Sabha election to 543 seats is scheduled to be held in seven phases beginning April 11 and concluding on May 19. The counting of votes will take place on May 23.